"Dustin Johnson has won this title twice, been runner-up twice and add five further top-eight finishes. He's often thrived in bad weather so it would be a genuine shock were he not to contend." Originally named the Bing Crosby National Pro-Amateur and first staged in 1937 the AT&T Pebble Beach Pro-Am has been in existence for 82 years. The Crosby name was dropped from the title in 1985, eight years after Bing's death and a year before long-time sponsors, AT&T, began their association. The AT&T Pebble Beach National is a pro-am staged over the three courses detailed below. They're played in rotation over the first three days before a cut is made and the top-60 and ties fight out the finish at Pebble Beach on Sunday. The host course, Pebble Beach, needs no introduction to most keen golf fans. This iconic seaside links has hosted the US Open five times and the PGA Championship once. It isn't a long course. In fact, it's usually the shortest course used on the PGA Tour rota and it's not a tough driving test - the fairways are largely generous and the course's defence is its small greens, and of course, the weather. Pebble celebrates its centenary this year and it hosts the US Open for the sixth time in June. Spyglass differs from the other two venues in that it's largely tree-lined and although it's often the toughest of the three, if you get drawn to play there on a windy day you've had a result. Monterey is the most generous of the three courses used and that's usually where the best scores are made. The greens are slightly bigger than those at Spyglass and twice the size of the ones at Pebble and the greens are usually set up slightly faster than at the other two courses. The greens at all three venues are poa annua, as they were at Torrey Pines a fortnight ago. What Will it Take to Win The AT & T Pebble Beach Pro-Am? Last year's winner, Ted Potter Jr, was short of the tee, ranking only 67th for Driving Distance. He ranked better for Driving Accuracy (16th) but what you do off the tee in this event is largely irrelevant. The average ranking for distance off the tee for the last 12 winners is only 38.7 and their average DA ranking was 40.9. Dustin Johnson and Jason Day tied for second last year ranking third and fourth for DD but they only ranked 54th and 57th for DA. I'd marginally favour length over accuracy if pressed but neither stat is worth worrying about. The statistical surprise from 12 months ago was how poorly the placed players ranked for Greens In Regulation. Potter ranked ninth and that's about what I'd expect give the average GIR ranking for the last 12 winners is 7.5 but the next six on the leaderboard ranked 22nd, 44th, 54th, 57th, 19th and 51st! Despite how poorly the placed players ranked for GIR last year, that's very much a key stat and 10 of the last 12 winners have ranked inside the top-nine for greens hit. Potter had a Putting Average ranking of fourth last year and the worst Putting Average ranking of any winner in the last 13 years is just 16th (Brandt Snedeker in 2016 and Dustin Johnson in 2009), so performing on the greens is essential but the best stat to peruse is Par 4 Scoring. Potter ranked second on the par fours and the two winners before him played them better than anyone else. The worst any winner has ranked on them this century is 25th (Johnson in '09) and all the other winners have ranked seventh or better. When Spieth followed his victory here with success at Royal Birkdale in 2017 he became the third AT&T winner to also win the Open Championship this century and a number of recent winners have a cracking record in the world's oldest Major Championship. That makes sense given Pebble Beach is a links track so look to fine links exponents and it also makes sense that great wind players prosper also but the best angle-in could be to concentrate on those that putt well on the unique poa annua. The PGA Tour website has a myriad of stats available, covering all sorts of weird and wonderful things, but none of them highlight how players perform on different grass types but thankfully Josh Culp's excellent website, futureoffantasy.com, covers it. The two-time AT&T Pebble-Beech winner, Dustin Johnson, currently ranks number one, Jason Day, after last year's tied second has form figures here reading 6-14-46-6-MC-4-11-5-2, sits second, and the 2017 champ, Spieth, ranks third so it's a list that looks well worth paying attention to. Potter was the 14th American winner in-a-row and there's only ever been three overseas winners in the event's entire history, and course form stands up really well. As unfathomable as they were to find, Taylor had finished inside the top-ten 12 months before he won and Potter had finished 16th in 2013. A total of 13 men have won the tournament more than once and Brett Ogle is the only debutant winner. Course form and course experience count for plenty. Will the winner contend again in June? It makes sense that this event should prove to be a good warm-up for the US Open here in June and history tells us that it's been a great pointer in the past. 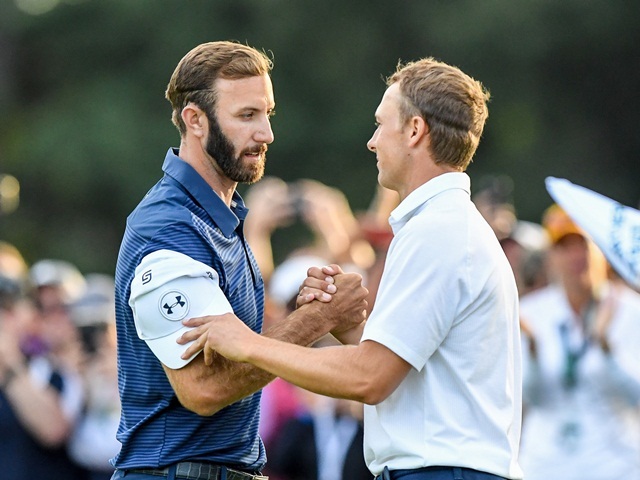 Jack Nicklaus and Tiger Woods both won the US Open at Pebble Beach in the same year they won this title (1972 and 2000) and Dustin Johnson should have done so too. After winning this in February, DJ led the US Open by four strokes through 54-holes in 2010 and he traded at long odds-on but he shot 82 in the final round to end the week in a tie for eighth. Tom Watson finished 12th in this event before winning the US Open at Pebble Beach in 1992 and although Tom Kite had missed the cut in this tournament before he won the US Open in 1992, the man who finished second, Jeff Sluman, had finished runner-up in this event a few months earlier so this has been a very good pointer and it might be worth keeping an eye on the US Open market during the event because the winner this week is sure to shortened up for the big one in June. With the event staged over three different courses we don't really get a clear picture until the end of round three but a fast start is certainly not essential. Spieth sat tied for fourth and just one off the lead after round one in 2017 and he was never headed after that but it's perfectly possible to win from off the pace. In addition to Taylor, who still trailed by six through 54 holes, we've also seen Tiger Woods win from five strokes adrift, Phil Mickelson six, and in 2001, Davis Love III won from seven back. If you're betting in-running on Sunday, be very wary of the par five 14th hole, as it's far from a certain birdie hole. In fact, it was the hardest hole on the course on Sunday 12 months ago and it cost Chez Reavie his chance of glory when he recorded a bogey six there. Phil Mickelson, who played an exquisite chip shot from the rough for his third stroke, was the only man in-contention to birdie the hole. Dustin Johnson was matched at only [4.5] to win as he stood on the 15th tee, even though he trailed by fully three strokes, and I can only conclude that the market incorrectly assumed a birdie of better was on the cards. As it transpired, despite a great tee-shot that put the green within range, DJ plumed for a lay-up and he couldn't get close enough with his third to give himself a realistic chance of a birdie. Time and time again the market assumes that this is a birdie hole when in reality, a bogey is a more likely outcome. It had a big say in the outcome three years ago with Mickelson, Johan Blixt and Freddie Jacobson, who finished second, third and fourth, all making bogey there and in the 2010 renewal it caused absolute carnage. Three players recorded a nine there during round four, including Paul Goydos, who was bang in-contention at the time. A par five is a very acceptable score on the hole but as the long holes are usually a chance to score, the market often assumes otherwise and it's a great opportunity trading-wise. Keep a close eye on the weather forecast as when you play certain courses makes a very big difference. In the 2014 renewal, Jordan Spieth was tied for the lead at halfway but he was the only one of the leaders playing a windy Pebble in round three and it completely scuppered his chances. Pebble is very exposed and when the wind blows hard, scoring is really tough there and by Sunday Spieth's chance had gone after a disastrous 78 around the host course. ***Steve returns from holiday on Thursday, when he'll update the preview if he has any picks before the off, and he'll kick-off this week's in-play blog as usual on Friday after the opening round. Predictably and correctly, Dustin Johnson is a very warm favourite at [6.6] following his Saudi International victory. The world number three has won this title twice, been runner-up twice and add five further top-eight finishes. He's often thrived in bad weather so it would be a genuine shock were he not to contend. Second best is another frequent Pebble Beach contender - Jason Day at [11.0]. The Aussie was runner-up last year in his best among seven top-15 finishes. He returned to somewhere near his best last time with fifth at another favoured, correlating track - Torrey Pines. These odds are plenty short enough for me, though. Only three more are trading below [30.0]. Patrick Cantlay has been the subject of a major gamble from [40.0] down to [26.0]. The logic is sound - he's a Californian, rising fast, with excellent form either side of Christmas and the right skills set in terms of quality approach play. Cantlay was ninth in this on debut in 2013 but didn't do much in two subsequent visits. Jordan Spieth - winner here in 2017 - and Tony Finau are both trading around [27.0]. The former remains considerably below his world-beating best but the latter is on everyone's 'winner-in-waiting' lists. The effect on course conditions from terrible weekend storms, plus a pretty grim forecast, are a massive consideration and, to some extent, deter against betting pre-tournament. It isn't easy to predict who will have the best of the draw at this stage and there must be some potential for a shortened event. It has happened before at Pebble Beach. Were it not for those worries, I would be inclined to back Dustin Johnson. Favourites rarely appeal to me these days but he simply must contend and I doubt we'll see much bigger than [6.6] all weekend. I will probably take this position in-running as and when things become clearer. For now, though, I'm just trying a couple of outsiders. 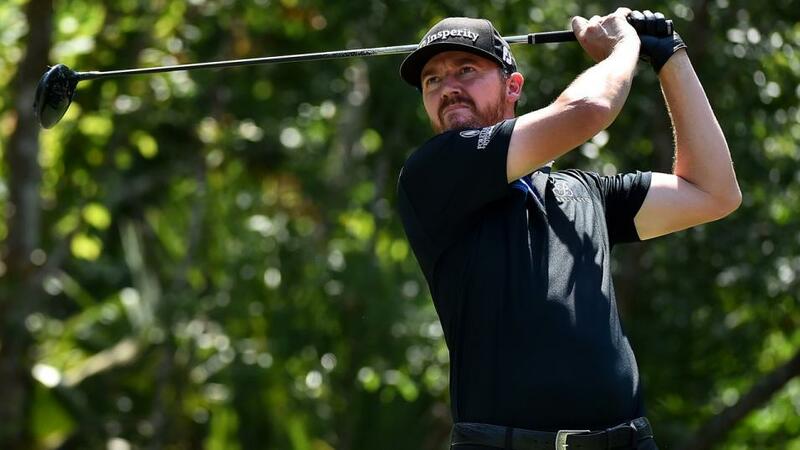 2014 champion Jimmy Walker is very much a course specialist, registering top-11 finishes on six of his last eight visits. He is constantly ruined by inaccurate driving but that will be less of a problem in these wet conditions. 90/1 each-way very much appeals. At the same odds, Chesson Hadley could offer a good run. He finished top-ten on his first two attempts here and, ranking top-11 for strokes gained approach in each of the past two seasons, appears to be very well suited to the challenge. He was in good form before Christmas and made the Phoenix top-20 last week.